Window cleaner falls 8 floors. A man was in critical condition in hospital on Wednesday night after falling about eight storeys from a Winnipeg apartment building while washing windows. 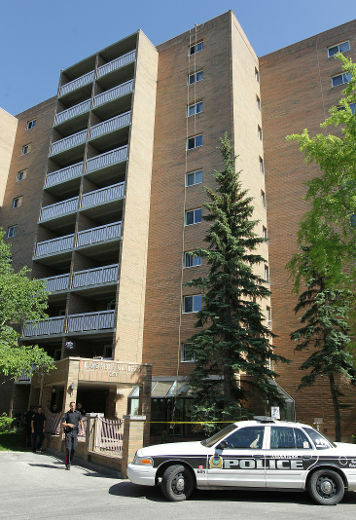 The shocking mishap occurred about 3 p.m. at the 10-storey Cambridge Gardens in River Heights, when — according to a witness — a rope used by the commercial crew member broke, causing him to fall all the way down through a ground-floor overhead window and into the complex’s lobby. “He landed there — he went straight through,” James Warren, visiting his grandmother who lives at the building, told the Winnipeg Sun while pointing to the broken glass awning near the front entrance. Warren added that he passed through a surreal scene in the lobby “about a minute after” the accident, and before an ambulance arrived. A co-worker called for an ambulance, which took the man to Health Sciences Centre. Staff Sgt. J. Anderlic confirmed that the man remained in critical but stable condition. “He’s got some lower-body injuries,” he said. Police and provincial workplace safety officers investigated at the scene at Cambridge Street and Carter Avenue, near Pan Am Pool, long after the man was removed from the lobby. 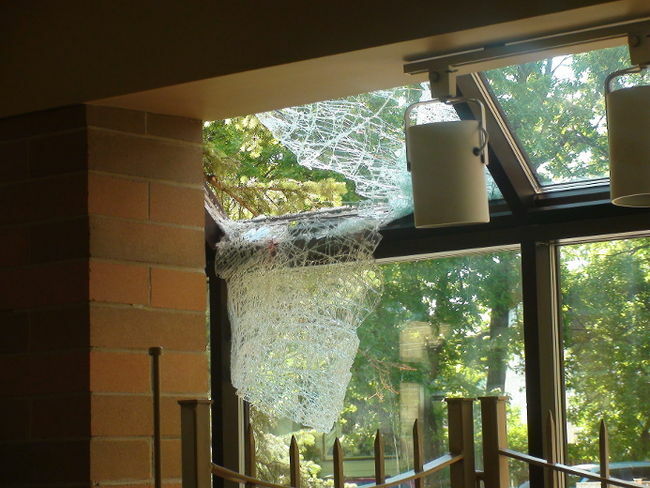 The floor below the smashed awning was strewn with broken glass, mixed with blood. Two running shoes remained on the floor. Warren said he had been told by another window-washing crew member that a “rope just snapped” above the worker, leading to the fall. Warren said the injured man was fortunate to fall where he did, less than a metre from a spiked, iron barrier in the lobby.